I admit to having a weakness for “infographics”1. So what happens when someone takes something near and dear to me, human space exploration, and puts it into an infographic? I change my underwear and then post it here. I love how it puts the space station into perspective and shows how ambitious the Skylon project is. 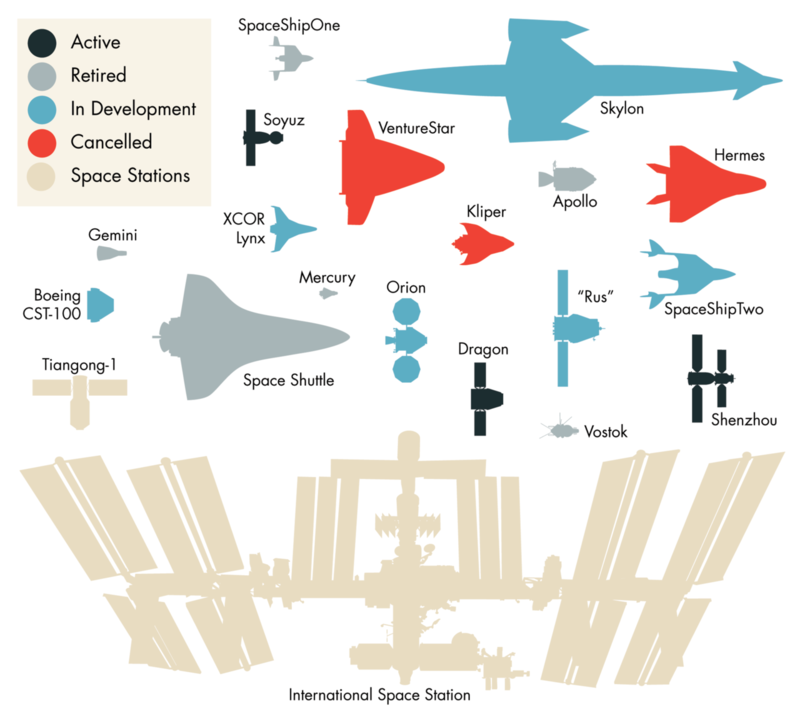 For a little extra slice of nerdy here is a version that includes a spacecraft we haven’t made (yet!). 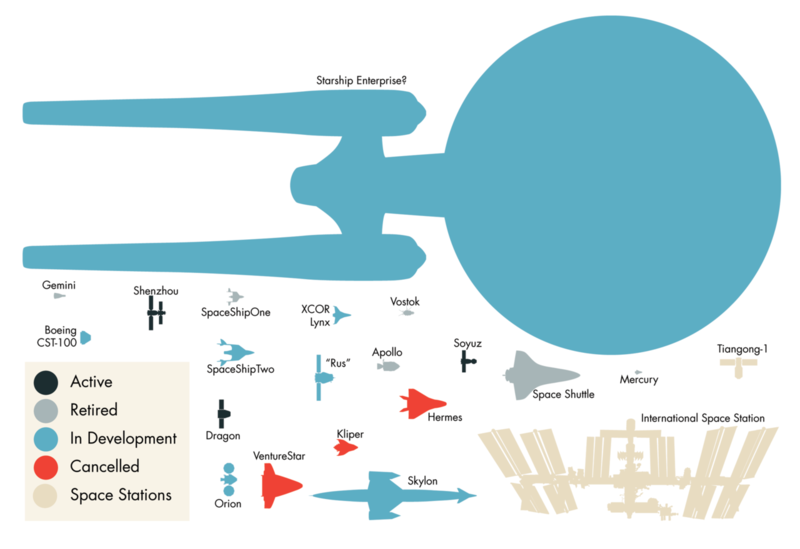 You are currently reading Size comparison of humanity’s most notable spaceships at Thomas Paine Rants.